SS 309S Tubes, 309S Stainless Steel Pipes, SS UNS S30908 Pipes, ASTM A312 Stainless Steel werkstoff nr. 1.4833 Seamless Pipes & Welded Tubes Supplier & Exporter in India. 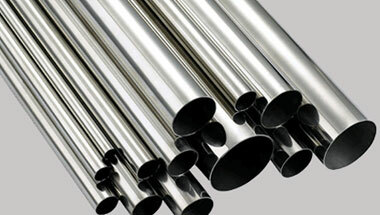 Neon Alloy’s is one of the leading manufacturer & exporters of stainless steel 309S pipe & tubes. We bring out a unique range of SS 309S pipes & SS 309 tubes which is processed under high tech machines. Made in accordance with the industrial standards these 309S pipes & tubes meet the clients’ specifications absolutely. Available in various ranges, sizes and forms like round, oval, rectangular and U-shape these tubes provide long service life along with optimum quality. These 309S stainless steel pipes & tubes are used in ships building industry, car making industry, war and electricity industry and other machinery and hardware fields. These are made up of high quality raw material and therefore follow international quality standard and ensure high durability and resistivity to adverse conditions. Our product includes tubes and pipes, SS 309S Pipes, SS 309S Tubes, Stainless 309S Seamless Pipes & Tubes etc. These products are available at best possible prices which is another important feature exhibited by our products range. Stainless Steel 309S ERW Pipes, SS 309S Seamless Tubes, Steel 309S Welded Pipes, Stainless Steel 309S EFW Tubes, Stainless ASTM A213 / A249 309S Seamless Pipes Manufacturer in India. United States, Chine, Jordan, Vietnam, Canada, Turkey, Bahrain, Morocco, Mozambique, Australia, UK, Indonesia, Germany, Israel, Colombia, Cameroon, Trinidad and Tobago, Kuwait, Uganda, Azerbaijan, Italy, London, Peru, Mexico, Iraq, Democratic Republic of the Congo, New Zealand, Malaysia, Algeria, Kazakhstan, Ghana, Thailand (Bangkok), Africa, Houston, Saudi Arabia, Ethiopa, Argentina, UAE, Venezuela, Nigeria, Egypt, Sri Lanka, Brazil, Angola, Tunisia, Dubai, South Africa, Russia, Iran, Sudan. Kinshasa, Port Harcourt, Kano, Aqaba, Amman, Abidjan, Zaria, Addis Ababa, Data from the UN, Ibadan, Byblos, Alexandria, Lubumbashi, Jerusalem, Singapore, Harare, Accra, Kaduna, Mecca, Pretoria, Riyadh, Abu Dhabi, Lagos, Antananarivo, Conakry, Bulawayo, Port Elizabeth, Freetown, Manama, Dakar, Johannesburg, Colombo, Ouagadougou, Dar es Salaam, Kolwezi, Durban, Brazzaville, Nairobi, Hong Kong, Doha, Beirut, Douala, Tripoli, Bamako, Luanda, Bethlehem, Jeddah, Tehran, Sharm el-Sheikh, Tel Aviv, Cairo, Khartoum, Fez, Soweto, Dammam, Muscat, Istanbul, Casablanca, Mbuji-Mayi, Cape Town, Dubai, Algiers, Lusaka, Giza, Maputo, Kampala, Mogadishu, Cairo, Subra al-Haymah, Rabat, Yaoundé, New York, Omdurman, Benin, Maiduguri.